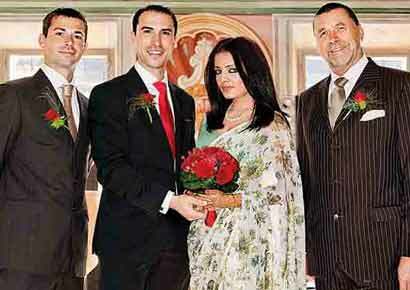 Celina Jaitley announced on Twitter that she got married to Haag on July 23 at a thousand-year-old monastery in Austria. Celina is 10 weeks pregnant. Currently the actoress is in Dubai, and will return to India next week. She was hospitalized for food poisoning some days ago and that’s when she discovered the happy news.